According to the U.S. Department of Justice, more than 43,000 women were arrested for prostitution-related offenses in 2010. While people on the outside may scoff at their life decisions, the reality is that many of these women are forced into what’s known as “the life” in order to survive (or even against their will). Even worse, the world’s oldest profession comes with an immense number of health and safety risks. Physical abuse and assault, sexually transmitted diseases, and incarceration are just some of the potential consequences of working as a prostitute. And if you are arrested and charged with a prostitution-related crime, you could also face other ramifications. In order to have the best chance of avoiding or minimizing the following consequences, it’s essential that you contact a prostitution defense attorney to protect your rights and to fight on your behalf. Unemployment: If you are arrested for and subsequently convicted of prostitution charges, you will likely find it difficult to secure gainful employment in the future. When applying for a new job, your would-be employer will perform a criminal background check. Sadly, many employers won’t look past a criminal prostitution charge. Being charged with a crime could also cause you to lose any professional licensing you already have; if you are currently employed by other means, you might automatically lose your job as a result. Public Scrutiny: When you’re convicted of prostitution, these charges will be notated on your driving record. While first-time offenders may not have to worry as much, since those records can be viewed only by law enforcement. But those who have dealt with multiple charges and/or convictions should know that those records are viewable to the public. If you are swept up in a prostitution ring or another high-profile case, you may need to be worried about your photo and personal information being shared in the media. This could cause important people in your life to judge you or completely turn their backs on you. You may end up being at the center of relentless gossip and rumors, especially in the age of social media. Unfortunately, your prostitution lawyers in Portland may not be able to do anything to keep this information out of the public eye, despite their best efforts. Housing Issues: If you end up being convicted of prostitution charges, you could very well be found in violation of your lease or other housing agreement. This could result in your eviction (as well as the eviction of your family, if they live in the same home). In addition, your conviction could make it extremely difficult to secure housing in the future. Just like an employer does, housing managers and owners will typically conduct background checks and will require you to list criminal convictions on your application. Ultimately, you may find it nearly impossible to find a safe place to live, much less pay for it. Your prostitution lawyers in Portland will caution you that there are other risks, as well. You might lose your ability to drive, assuming your car was allegedly involved in the commitment of the crime. And if your charges are upgraded to a felony and you’re convicted, you may even have your right to vote be taken away (which is a substantial blow in these politically charged times). If you are facing charges like these, the best thing you can do is to contact reputable prostitution lawyers in Portland to develop your defense. While they may not be able to completely remove these risks, they can at least mitigate them by dedicating themselves to your case. How Do Drunk Drivers Get Caught? As most people know, alcohol, good judgment, and good driving do not mix well. 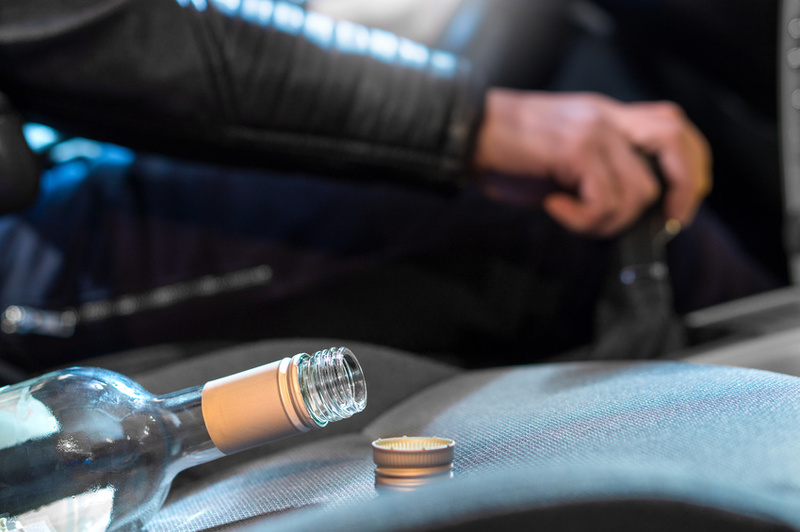 Even if a drunk driver doesn’t get in an accident, he or she can still end up needing a lawyer for a drunk driving defense. Police officers in some districts set up roadblocks where officers stop drivers and ask them if they have been drinking. Checkpoints and roadblocks are common during holidays. High school graduation season is also a common time for checkpoints, since only 10 percent of licensed drivers are under 21, yet this age group is responsible for 17 percent of all fatal alcohol-related crashes. Checkpoints are legal in most states, though police departments are sometimes required to make the public aware of where and when the stop will be set up. With so many obvious physical and behavioral signs that can indicate a person is drunk, it is difficult to hide intoxication from a police officer. If you’ve found yourself facing criminal charges for driving drunk, get a DUI attorney as soon as possible. Finding a good lawyer quickly can help you build a better drunk driving defense. For more information, contact Jared Justice today. Something has happened, and now you’re facing criminal charges. Though your next course of action largely depends on the charges being held against you, there are still some common mistakes any defendant can make that might be detrimental to your case. Though you may want to avoid the added expense of hiring a lawyer until you’re sure you need one, in the case of criminal charges, it is better to be safe than sorry. Hiring a lawyer quickly will provide you with the guidance you need to avoid future missteps that can worsen your sentence. Getting an early start will give your lawyer more time to build your case for the best defense possible in court. 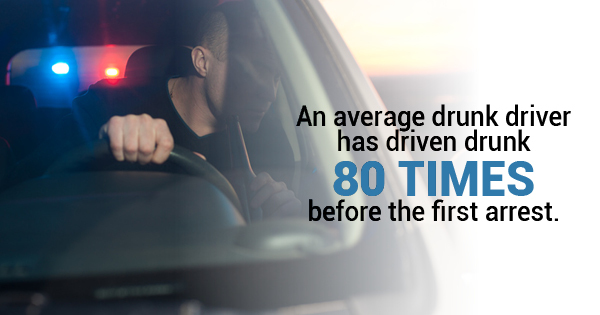 Though the average drunk driver has driven drunk 80 times before the first arrest, the police do not need to know about your previous activities! Do not provide evidence or statements related to this or any other crimes without guidance from a lawyer. Also do not submit samples of bodily fluids, fingerprints, and other evidence. Giving police any of these items voluntarily will make them admissible in court. You have the right to remain silent. Only speak to politely tell officers that you plan to wait to provide evidence once an attorney is present or they have a court-issued warrant. No matter how frustrated or frightened you feel, do not resist arrest in any way. Physically resisting police officers will only worsen your case and result in additional criminal charges. Plus, a scuffle could lead to injury. Calmly follow police orders to protect your case. Though you may mean no harm, do not contact your friend or anyone else who may have witnessed the crime you’re being accused of. Contacting a witness is illegal and considered witness tampering, which could ultimately hinder your defense to say the least. Finally, don’t try to lie or hide details of the scenario from your lawyer. Though you may be worried about seeming guilty or ashamed of what happened, your lawyer needs absolutely every detail possible to represent you in court. If your lawyer discovers new details during the trial, your entire case could be jeopardized. Be honest to protect yourself from further criminal charges and a worse sentence. Criminal charges can be frightening and confusing. Though you may not know what to do after an accusation, be sure not to do any of the above. For more information, contact Jared Justice today.